At least half of the summer heat must come from the shining goals and ambitions I set for myself in the months when I’m not as tied down by teaching responsibilities. They glow with promise in the early days: glistening lists of ideas for first drafts, revision checklists, submission deadlines. But like the much needed rain that sent the sun scurrying for cover, a multitude of teaching workshops washed out my personal writing goals. I spent my summer instead learning how to (better) teach writing and to (better) structure my classroom and curriculum. 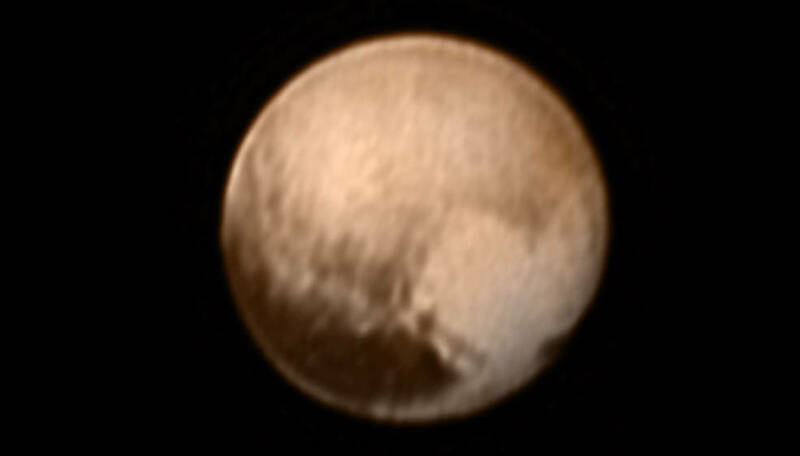 And also geeking out about NASA’s mission to study Pluto. It was time well spent, but I am now mourning the loss of time that I could have spent on (bettering) my manuscripts. So, this is a word of encouragement for all of us who fly by their objectives with little to show for it, or who work so hard only to have to start all over at the end of it. Speaking of fly by, we can take encouragement from NASA and their New Horizons Mission, known affectionately on social media as #PlutoFlyBy. 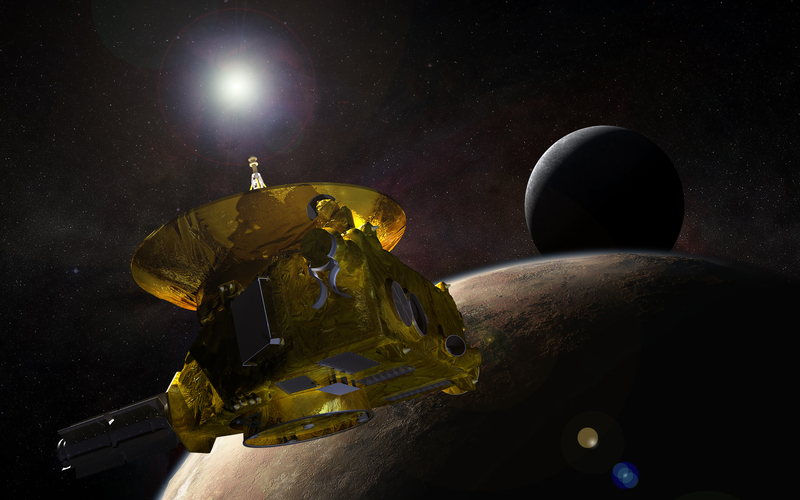 New Horizons mission blasted off almost ten years ago. The primary investigator, Alan Stern, and his team had ambitions and goals they were shooting towards. They knew any pay-off from their exploration wouldn’t come until much later, but they set out all the same. The most advanced tools on the biggest payload rocketed into space. To reach your goals, you have to put forth your best effort, find some momentum, and be patient. If you are working towards it; if you are headed in the right direction with positive progress (with ANY progress), you WILL get there. Sometimes success takes time. While many see this as a set back, or demotion, I think a better perspective is that this discussion is advancing our understanding of our solar system. To have the knowledge to reclassify something, means that we understand it more. And that is progress. So, when you look at your goals and your direction, be encouraged in the knowledge that to redefine what you want to accomplish is helping you move towards your goal. Even if it doesn’t always feel like it. And our knowledge about this dwarf planet has increased tremendously in the past ten years. When New Horizon’s launched, what we knew about Pluto was brief: we knew it had a moon, Charon, it was small, and that it was likely cold with varied geological surface features (based on a HIGHLY pixelated picture that had significant contrast). The End. To find out about each of these images, check out New Horizon’s page. Then, on July 15th, New Horizons completed its #PlutoFlyBy. More than one decades’ worth of hopes and dreams culminated in a visit that occurred 72 seconds early. Their goal had been attained. 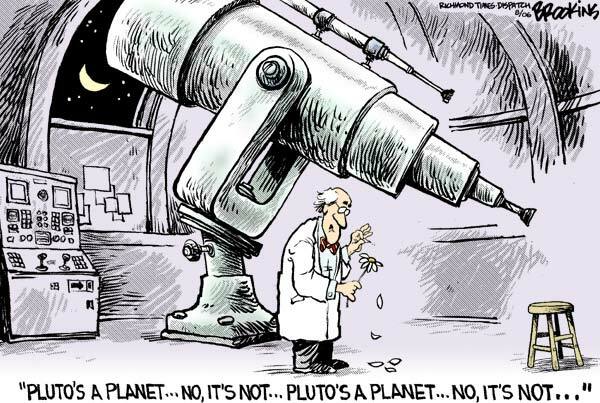 In the one day, ONE DAY, that New Horizons waved to Pluto, all scientific sensors on and active, we have already have more information on Pluto than we have had in the past century. But, really, it is just the beginning. NASA says it will take 16 months (at least) for all of the data collected on this mission to be downloaded to mission control. Then, astronomers and geologists and myriad other scientists get to spend the next ten years analyzing the data to unlock Pluto’s secrets. Be encouraged that the work is NEVER over, and what seems like an end is oftentimes the start of something better. Don’t be afraid of the next step. Previous Previous post: New Page Masters Book Club Selections! !